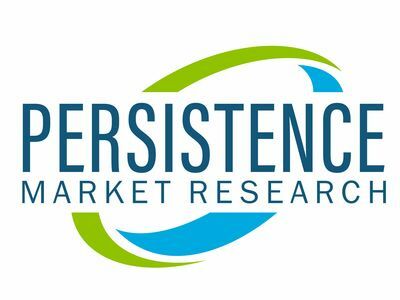 NEW YORK, Feb. 13, 2019 /PRNewswire/ --Â A recent report published by Persistence Market Research, titled 'Soy Protein Market: Global Industry Analysis 2013â�“2018 and Forecast 2019â�“2027', states that, by the end of 2018, the soy protein marketÂ is expected to be valued as US$ 5,050.1 Mn in terms of sales revenue. The market is expected to reach US$ 7,794.1 Mn by the end of 2027 in terms of value. From the estimated year (2018) to the forecasted year (2027), the overall global soy protein market is expected to grow at a CAGR of 5.0% in terms of value. There is rigid fragmentation and competition in the global soy protein market. The nutritional supplements segment, under end use of soy protein, is expected to hold a prominent market share in terms of both, value and volume, throughout the forecast period (2019â�“2027), in the global soy protein market, when compared to the other segments such as bakery and confectionary, functional food, functional beverages, meat additives, pharmaceuticals, animal feed, and others. The demand for soy protein is expected to observe a significant increase in terms of both, value and volume, throughout the forecast period (2019â�“2027), in the global soy protein market, due to an increase in the consumption of nutritional supplements in various developed and developing regions and countries. There are a number of organized players present in the soy protein market, owing to the increased competition. This is one factor that is helping accelerate the development of various innovative and novel products in the soy protein market. It is also a major factor that is expected to push the growth of the soy protein market in terms of both, value and volume, throughout the forecast period (2019â�“2027). By region, North America is expected to hold a relatively high market share of 42.5% in terms of value by the end of 2018 in the global soy protein market. The region's market share is expected to fall to 39.2% in terms of value by the end of 2027 in the soy protein market. Followed by North America, Europe is expected to hold the second-largest market share of 26.6% in terms of value throughout the forecast period in the global soy protein market. This region's market share is expected to decrease to 26.1% in terms of value by the end of 2027 in the overall global soy protein market. Followed by Europe, APAC (Asia Pacific) is expected to hold a significant market share in terms of both, volume and value, throughout the forecast period, in the overall global soy protein market.